Singapore is known for having one of the most competitive education sectors in the world. It’s not surprising that students always push themselves to get the best marks in class. Are there things that your studies easier? Make use of resources available to you. If you have time during the weekends, read the lessons in advance to get a head start. You will have an easier time remembering all the information if you already have a background of a topic. Most people who struggle studying after class don’t pay attention during the lectures. Maybe the instructor did not explain everything, but you shouldn’t be daydreaming either. Don’t hesitate to ask questions and participate in discussions. You should develop your own system of taking notes. Make it easier for you to write down things by developing your own symbols and a shorthand. You don’t have to write down everything verbatim. Feel free to use highlighters, sticky notes and whatever tools that will make it easier for you to review. Designate a spot in your room or in the house where you can study without distractions. Make the place as comfortable and relaxing as possible. Fill it with items that inspire you. Listen to music if it helps you relax. Place all your school items neatly and within easy reach. There are seven learning styles that can help you retain information better. These are visual, aural, verbal, solitary, social, physical and logical. Visual learners for example learn fast when they see illustrations and photos. 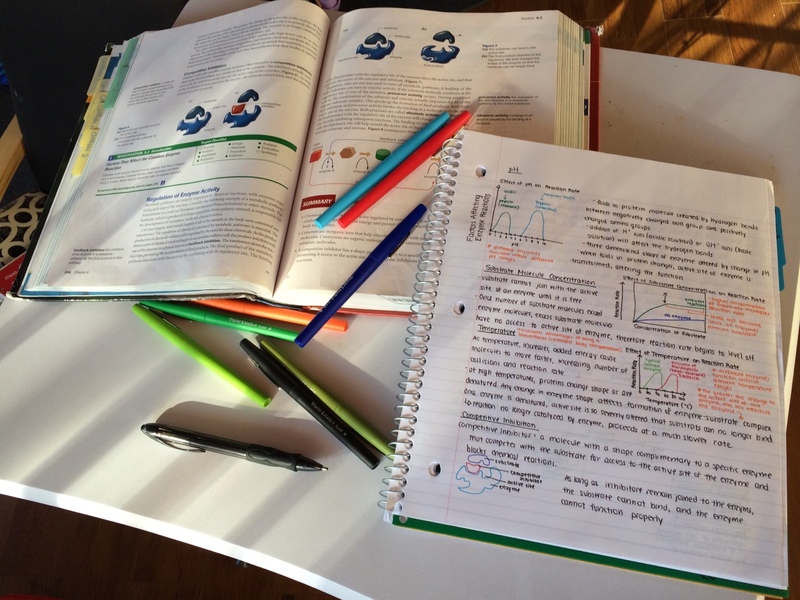 Or if a group study seems effective, then organize a regular session with your friends. Don’t be too harsh on yourself. Set goals that you know you can reach but keep in mind that there will always be someone better than you. Hard work however will compensate for your shortcomings. So make a study plan. Write down your goals and which topics you need to focus on more. This doesn’t mean you can’t have fun anymore, but remember why you’re studying in the first place. Your study area should be free from items that tempt you like novels, magazines, television, and games. If you’re using a computer for research, try not to use the Internet for other activities. If you’ve never yet developed a routine, it’s only natural to feel overwhelmed. Understand that you can’t just change overnight so take it in small baby steps until you find a rhythm. Start by limiting the time you spend for other activities. Don’t kill yourself trying to ace the exams because your hard work will all go to waste. Get enough sleep and rest. Exercise, socialize and eat good food. Take short breaks while you’re studying and never skip meals.